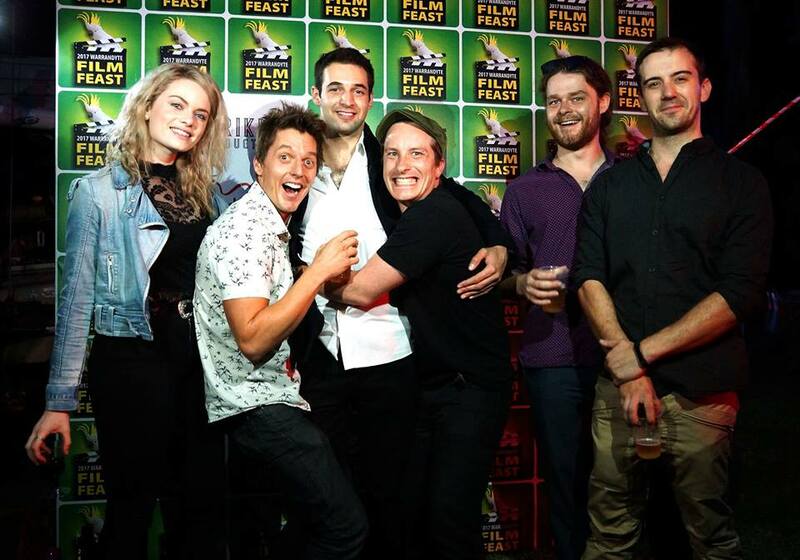 DELIGHTED by last year’s inaugural success, Warrandyte Festival and local film company Striking Productions have combined to bring festivalgoers another evening of cinematic fun. On Friday March 16, in a relaxed setting on the Lower Riverbank at Stiggants Reserve, Warrandyte Film Feast will present an eclectic mix of 18 short films from different genres. Introductory film Children of Ignorance – recent winner of Best Dramedy in last month’s LA Shorts Awards – tackles themes of racial profiling, sexism and social prejudice. Written, directed and produced by Striking Productions’ own Rosalie Ridler, the film’s talented cast creates an intricate vibe at an end of year work party that is full of drunken therapy and gossip over Dave’s new mail order bride! Lovers of horror will enjoy the chain-rattling fight for family safety waged in short film, Schatten Schelm. Two children on a camping trip with Mum and Dad unwittingly beckon an ancient shadow prankster to their campsite while telling scary stories around the fire. The Schatten Schelm feeds on people’s shadows, particularly those of children. Scary! Harbinger by Nigel Pettman, explores the unique relationship Australians have with bushfire. Viewers will have their perception of fire challenged by this avant-garde film, which sees a mysterious stranger drawn to the bushland in an ancient cycle of destruction and renewal. Two shorts, written and directed by local filmmaker Ryan de Rooy, have emerged from Titan Knockout Productions. In Dragon Blood, (a music video produced by Christian Petkaris) a bride believing the spark in her relationship has perished, leaves a clue for her husband in the form of a cocktail umbrella, in hopes he will follow it and reignite the spark. Simon (produced by Emily Wilkinson and Stuart McCaskie) is a tragic story about a young, socially isolated boy on his 18th birthday, adventuring off to the local pub to have a drink alongside his best, and only friend Chris. As the night dwindles, conflict arises, changing their lives forever. Local RMIT student Jessica Matuszczak has written, directed and produced a black comedy that looks at disability through a comical yet thought-provoking lens. Being in a wheelchair has its benefits. All paraplegic Lucas and his mate Aidan want to do is attend an alternative rock concert. Not anticipating any issues, Lucas assumes his buddy will get in free of charge. For those who hold a companion card, this is possible. However, what happens when a staff member doesn’t believe his so-called ‘disability’ is genuine? Four films have been submitted from Scotch College students who completed VCE in 2017. William Fairley’s Notes From The Underground is a hand-drawn charcoal stop-motion animation set in a dystopian society. Rob by Patrick Butcher is an interview-style documentary that reveals the permanent impact of the loss of a promising young footballer on his family and friends. Charley by Jesse Denson brings a twist to the end of a strong message that explores the issue of animal neglect. In comedic black and white silent film The Unspoken Rule by Con Coutis, viewers follow a crime investigation to its entertaining and surprising finale. Other features include: Matt Mirams Deep Sea Fishing, which touches on themes of relationships and the naked truth that in the dating world, some people are just using the wrong bait; The Artifice, written, directed and produced by Matthew Holmes, is a terrifying example of what can happen when you open your door late at night to a child and find everything is not as it seems and Genome, a short film centered on dance and movement by dancer, choreographer and filmmaker Loughlan Prior. MC for the evening, Daniel Schepisi, is an internationally accredited actor who has been nominated for Best Actor at festivals across the globe including New York and Berlin. He has been involved with numerous Australian feature films, playing lead roles in such movies as According to Ben Adams and No Two Snowflakes. People’s Choice prizes, sponsored by local Internet experts Australia Online, Cocoa Moon, Altair, The Grand, Warrandyte, Palace Cinemas and Interiors by Riveresque, will be awarded on the night. With fabulous food and drink available to purchase from 6pm and live music playing prior to screening and during intermission, Warrandyte Film Feast promises a great night of fresh film experiences. Note: Please be aware that none of the films exhibited have been classified in accordance with the Australian Classification Board. Content is varied, uncensored and may offend some viewers. In general, films shown earlier in the evening are considered family-friendly and as such are unlikely to cause offence. However, organisers recommend viewers step out if content is found to be disturbing. Viewers can arrive from 6pm; the first film will be on at 8pm.